The Indian Detective is a Canadian comedy-drama series, debuting on CTV and Netflix in 2017. 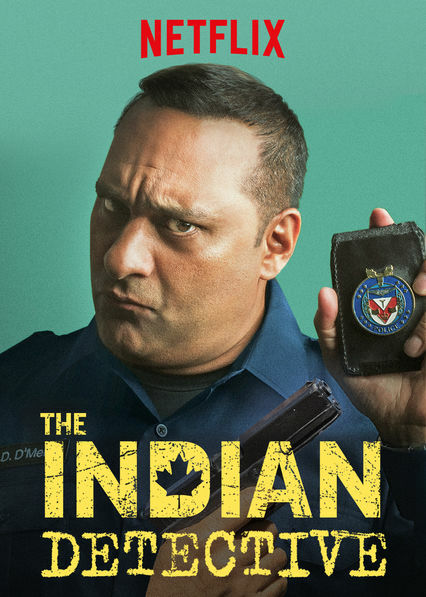 The show stars Russell Peters as Doug D’Mello, a police officer from Toronto who becomes embroiled in a murder investigation while visiting his father (Anupam Kher) in Mumbai while serving a one month suspension for incompetence. The mini-series also stars Christina Cole as D’Mello’s partner Robyn “Bob” Gerner, Mishqah Parthiephal as Indian lawyer Priya Sehgal, Hamza Haq as twins Gopal & Amal Chandekar, Meren Reddy as Inspector Abhishek Devo and William Shatner as David Marlowe. It’s the feel good comforting, light-hearted police/crime / investigation with lots of humour and silliness involved. 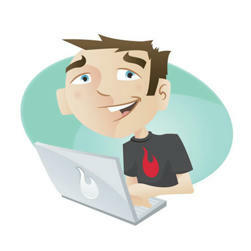 Doug is a constable 1st class who with his partner Robyn, want to become detectives. After a suspension following a highly public failed drug bust and an urgent phone call from his father‘s hometown of Mumbai, constable Doug flies to India to visit his ailing father Stanley. Doug, who is suspended for a month, decides to stay in Mumbai, even as his dad seems to be ok. He meets the pretty lawyer, Priya Sehgal, who lives in the same building and gets caught up in a case that connects Mumbai & Toronto. Priya was led to believe that A swami is killed by poisoning and the local chaiwala confesses, even though Priya knows he is covering for someone else. Even though their initial investigation brings forth the real murderer who is the wife of a wealthy business and disciple of the swami and who was giving away his wealth, a crimelord who has the local deputy commissioner in his pocket and is doing business with a well established Canadian developer named Marlowe (Shatner) is behind the forceful removal of the people living in a large slum to make way for a large building. The crimelord, Gopal, is financing the money using his twin brother Amal who lives in Toronto and part of a drug smuggling into the US. This same drug smuggling group is the one which Doug had tried to bust and failed, making his final victory all the more sweet. In the end, his father’s health improves and although there are a few deaths, including a goon of Gopal who turned to help the good guys, Doug is vindicated and catches the bad guys and also wins the heart of Priya. The 4th episode ends on a sort of cliff hanger, when Marlowe informs a Nigerian drug lord that Doug was to blame for the latter’s loss of cocaine that got busted on the Canadian border. It’s a 7.5 outta 10 for me as it’s neither a comedy nor a full fledged detective/crime investigation show. But it has some good moments. Arsene Wenger was condemned to his first FA Cup third-round exit as managerless Championship side Nottingham Forest stunned holders Arsenal at the City Ground. The hosts took the lead when Eric Lichaj headed in from close range, although the advantage lasted just three minutes as Per Mertesacker followed up after Rob Holding’s header had struck the post. Lichaj reclaimed the lead for a Forest side led by caretaker boss Gary Brazil, the American defender scoring a spectacular dipping volley from the edge of the area a minute before half-time. Forest pulled further clear in the second half when Ben Brereton sent David Ospina the wrong way from the penalty spot after Holding upended Matty Cash. Danny Welbeck reduced the deficit for Wenger’s much-changed side after Forest goalkeeper Jordan Smith failed to hold a through-ball. But Arsenal’s first FA Cup third-round defeat since January 1996 – in a replay against Sheffield United – was confirmed courtesy of Kieran Dowell’s 85th-minute penalty, before Forest’s Joe Worrall was shown a straight red card in the closing stages for a late tackle. Wenger sent out a side showing nine changes from Wednesday’s thrilling 2-2 draw with Chelsea, the manager clearly with one eye on next week’s Carabao Cup semi-final first leg against the Blues. The 68-year-old has fielded weakened sides in cup competitions countless times down the years, but on this occasion he appeared to underestimate his mid-table Championship opponents, who showed great desire en route to a famous upset. For their part, Arsenal’s youthful side produced a disjointed display, with the experience provided by Mertesacker and Welbeck not enough as the visitors saw their hopes of winning this trophy for the fourth time in five years comprehensively ended at the first hurdle.